Ramgarh is emerging as a popular destination of Uttarakhand state as it is one of the hidden jewels of Kumaon region. Ramgarh is earning good name by word of mouth from the tourists who visit this heavenly hamlet. Ramgarh is also known as 'Fruit Bowl of Kumaon' as it houses verdant orchards of apples, apricots, peach and pears. 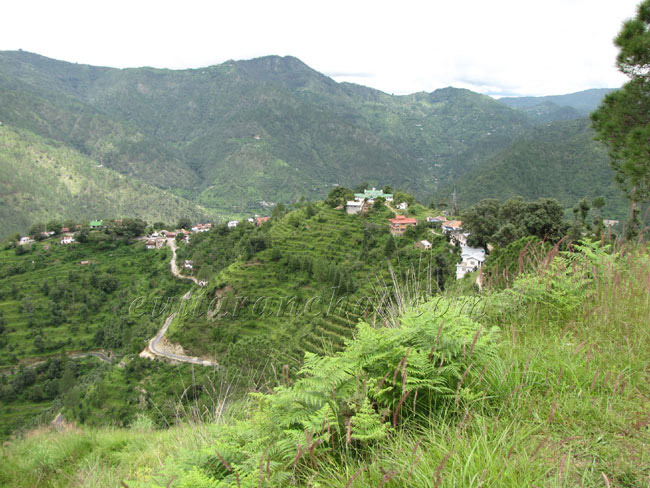 Ramgarh is divided in two parts where Malla is located on elevation and Talla is located downhill. Ramgarh is situated at an elevation of 1,729mts above sea level in the Nainital district of Uttarakhand state. Ramgarh is away from the hustle bustle of the city offering pristine environment and gigantic view of the Himalayas. The beauty of Ramgarh lies in its serenity, exquisiteness and tranquility. Unobstructed views of the snow laden Himalayas from Ramgarh are mesmerizing. This place was once the cantonment of the English army. The renowned poet Rabindranath Tagore and social worker Narain Swami had established their ashrams at Ramgarh. Rabindranath Tagore had composed some of his compositions at Ramgarh. Britishers used to spend their holidays in the serene environment of Ramgarh. Many poets and writers spend weeks in Ramgarh to amplify their creative abilities. Bird Watching: Ramgarh attracts myriad species of birds to its dense forests and green pastures. Wide variety of both resident and migratory birds can be spotted throughout the year. Nature Walks: Ramgarh and its vicinity offers some remarkable forest trails and mountain walks. One can walk to Ramgarh market and back or walk further to Old Bungalows, Neemrana with majestic scenery accompanying you all the way. Trekking: There are few easy treks in and around Ramgarh for the adventure seekers. One can trek to Devi Mandir which is 10 kms from Ramgarh and offers 360 degree panorama of the majestic Himalayan range. Due to its remote location, Ramgarh has little tourist traffic and hence is an ideal place to relax and rejuvenate in the calm and peaceful environment. Plenty of accommodation options have mushroomed at Ramgarh ranging from private hotels, resorts to budget guesthouses and government-owned guesthouses (KMVN). One can also find the accommodation and Eco Lodges at Ramgarh at affordable prices. Being a small town that is slowly gaining tourists’ attention, Ramgarh is still a long way having fancy restaurants serving varieties. At best, onecan find few roadside dhabas that serve chief North Indian dishes along with few popular Chinese items like noodles, momos, etc. For tourists, best option is to dine at the in-house restaurants of the resorts and hotels in Ramgarh. The sleepy town of Ramgarh was founded by the British and was once the cantonment of the British Army. However, after Independence, the English people moved from this place, leaving their legacy behind in the form of the old colonial buildings, rustic bungalows, and the old rest houses that were used by the British officials in the past. Some of the famous bungalows include the Old Bungalow of the 1830’s, the Vista and The Writer’s Bungalow of 1860. The irresistible beauty of Ramgarh had even inspired the iconic writers such as Rabindranath Tagore and Mahadevi Varma to create some of their masterpieces in Ramgarh. What is Ramgarh famous for? Ramgarh is famous among tourist as Secluded Hill Stations with Fruit Orchards. Ramgarh is recommended destination for Couples, Family and Kids, Foreigners, Solo. Ramgarh is popular destination for following activities/ interests - Bird Watching, Emerging Destinations, Hill Station, Leisure, Orchards, Weekend Getaway, Yoga and Meditation. Travelling to Ramgarh in 2019? Contact us for planning your Ramgarh tour with best travel packages of as per your requirements!